This morning the Cadet Wing had their first SAMI, better known as Saturday Morning Inspection - Even if it isn't on a Saturday. 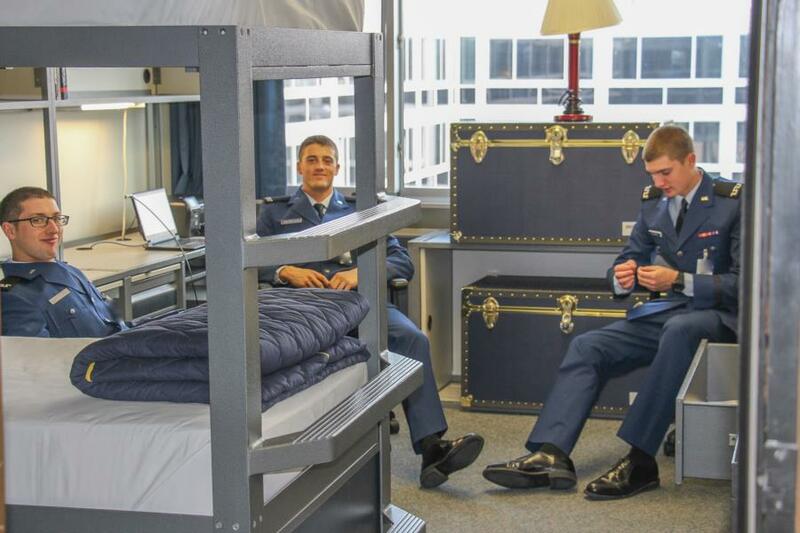 The Cadets had to dress in their Blues and prepare each of their rooms for inspection. They had roughly an hour or so of preparation before the inspection started. 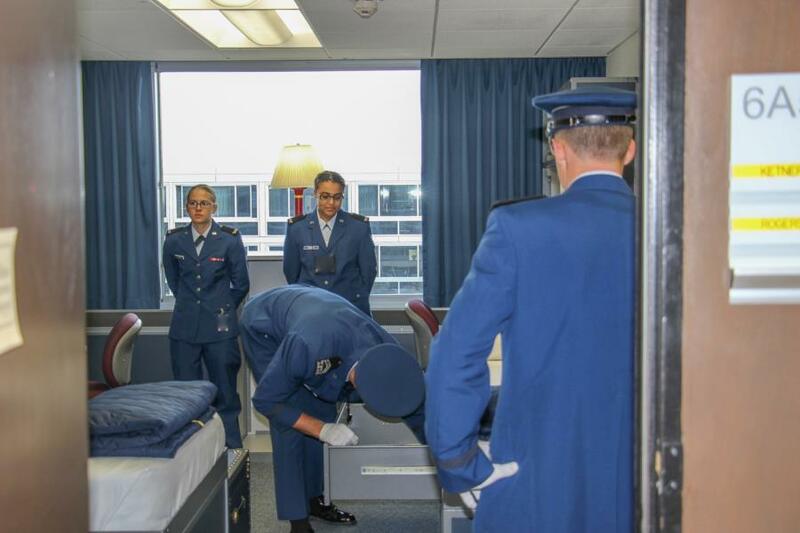 When the Cadets come in to inspect the room, they are saluted before entering and when they leave. Each room is looked over for roughly 2 minutes and while the room is being inspected the Cadets must stand at attention in the middle of the room, otherwise the Cadets are allowed to be at ease in their rooms. Whether that means, working on homework, talking amongest themselves or visiting with other Cadets in their rooms. What is looked at? The Cadets leading this SAMI have rules and will measure their bed fold, their folded shirts and shorts and check for dust in certain areas of the room. As well as the floor for cleanliness. We were low on manpower for this mornings event and because of this we were only able to cover Vandy and not every room was photographed. The SAMI only lasted an hour. But rest assured that during the next SAMI we will be covering Sijan. To find the pictures from this morning go to the Military Training Gallery.